For many readers out there, the publication of a new Malcolm Gladwell article ranks as an event demanding immediate attention. They'll read whatever he writes, not just because they enjoy his style but because they trust his instinct for finding fascinating subjects, from coffee to health care, college rankings to dog training, shopping malls to school shootings. How did he develop that instinct? He reveals aspects of his idea-generating process in the seventeen-minute interview with New Yorker editor David Remnick just above. It turns out that, just as with most of us — or as it would ideally go with most of us — Gladwell's ideas sprout organically from his strengths. But those strengths, in turn, sprout organically from his weaknesses. An early New Yorker assignment, handed down by then-editor Tina Brown, had Gladwell covering the 1989 attack on the woman referred to, at the time, as the Central Park Jogger. Instead of doing the kind of prolonged, emotional interviews many reporters would have done with the victim's friends and family, he instead contacted the surgeon who operated on her, ending up with a piece on "practice variation in medicine," the phenomenon whereby different medical practitioners in different regions of the country end up going about their job in persistently different ways. "They can't seem to get everyone on the same page," as Gladwell frames the problem. 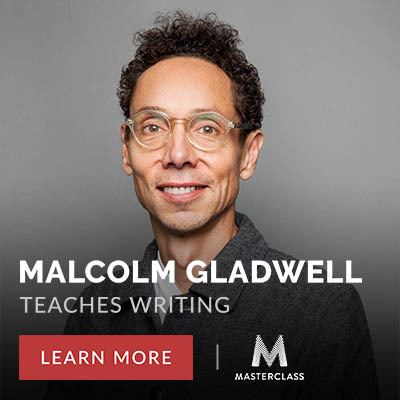 The intersection of the New Yorker's tradition of and expectation for long-form pieces with his own inability to perform traditional reportage gave Gladwell a sense of where he should look for promising leads. Rejecting character as a hook, he instead goes looking for intriguing theories, operating on the conception of most writers as "experience-rich and theory-poor." Instead of simply reporting on the latest school shooting, for instance, he wrote about a Stanford sociologist's theory of riots that he could apply to the phenomenon of school shootings themselves. His next book, about which he reveals a thing or two in this interview, deals in part with a different kind of shooting: that committed by police. "I have the advantage of coming to it late," Gladwell says to Remnick, explaining how his perspective and thus his writing on the subject might differ from those of others. That simple statement may hold the key to Gladwell's vault of ideas: with no obligation to give a rundown of the facts as they emerge, he can step back for a moment (be it a few months or a few decades) and get a sense of which stories will ultimately take the right shape to connect to the many broad, intriguing ideas, in the form of academic theory or otherwise, with which he's already familiarized himself. As much as Gladwell seems like a writer of the moment (and here he describes his "ur-reader" as a fortysomething Trader Joe's executive who only has time for three books a year, plus podcasts), he gets a fair bit of mileage out of one of the most old-fashioned assets of them all: a well-stocked mind.